NSW Deputy opposition Leader and Shadow Planning Minister Michael Daly has blasted the State Government’s 12 month freeze on medium density overdevelopment as a political stunt to get Ryde MP Victor Dominello re-elected. “The freeze ia a hoodwink to get Victor Dominello re-elected at next March’s State elections”, Mr Daley claimed. Mr Dominello along with Lane Cove MP and Planning Minister Anthony Roberts announced the freeze last week to give Ryde Mayor Clr Jerome Laxale a year to get the council’s development controls in order. However, the mayor who is Labor’s candidate for next year’s State elections has hit back and blamed the State Government for residential overdevelopment in Ryde. Mr Daley visited Ryde on Friday to support Clr Laxale and to endorse a twelve point letter he will present to State Parliament on his behalf. CITY OF RYDE Mayor Jerome Laxale has hit back at Ryde MP Victor Dominello’s ultimatum to get the city’s house in order with a list of twelve demands of his own. The state government and Ryde MP Mr Dominello last week put a freeze on medium density housing across the City of Ryde and told Mayor Laxale he has twelve months to amend the city’s local environment plan and focus on infrastructure. But the Mayor on Friday issued twelve demands of his own which Opposition Planning spokesman Michael Daley will bring to NSW Parliament. They include upgrades to the Herring Road and Epping Road underpass and flyover, upgrades to the Balaclava Road and Epping Road underpass and flyover, an upgrade to the intersection of Epping Road and Wicks Road intersection and a further upgrade to the intersection of Pittwater Road and Epping Road. The Lyon Park Road intersection with Epping Road has also been included in the Mayor’s list of demands alongside a further demand to complete the light rail extension from Epping to Carlingford and upgrade the crossover bridge at Meadowbank. Funding for Ryde Hospital and funding for Marsden High and other local schools are on the Mayor’s list alongside the completion of the Northbound Priority Bus Lanes to compensate for the proposed maintenance work on the Epping to Chatswood rail line. 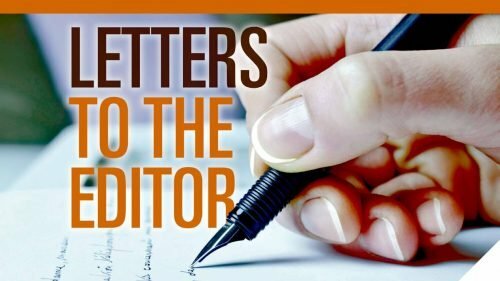 “Ryde’s roads are congested, our schools are overcrowded and our hospital is in need of immediate funding,” Mayor Laxale said. “Our community has been crying out for improved infrastructure for years but despite this state governments have continued to target further development. 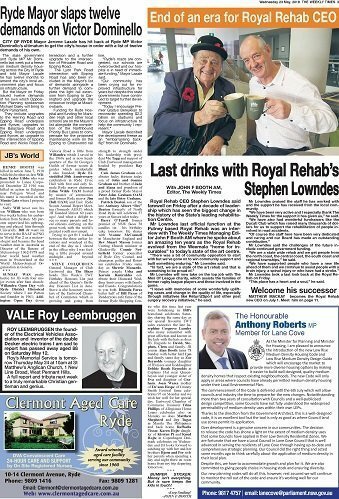 An an interview with The Weekly Times Managing Editor John F Booth at Top Ryde on Friday, Mr Daley described the freeze on development in Ryde as a political stunt. 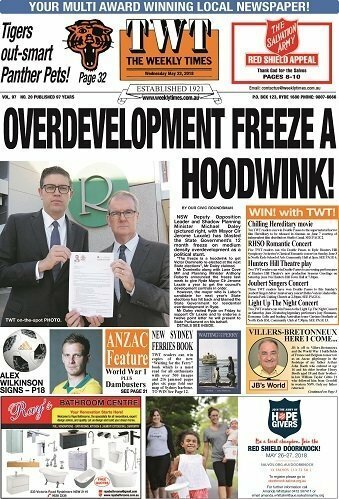 He said it is not a freeze on overdevelopment in the City of Ryde but only a one year suspension of a recently introduced and a highly unpopular medium density code, brought in as political damage control. “It is a hoodwink to get Victor Dominello re-elected,” Mr Daley said. Mayor Laxale is the Labor candidate for Ryde and described the development freeze as an “embarrassing backflip” from Mr Dominello but Mr Daley did concede the latest stoush with the Ryde MP is wider than local politics. “The Berejiklian Government does not like local democracy and grassroots councils having a say,” he said. In related news, Mayor Laxale said a council investigation into a government document submitted to a recent council meeting by Liberal Clr Jordan Lane has yet to be finalised. “What I can tell you is that the figures presented in that document are wrong,” Mayor Laxale said. Councillor Lane recently told The Weekly Times he is standing behind the information in the document.